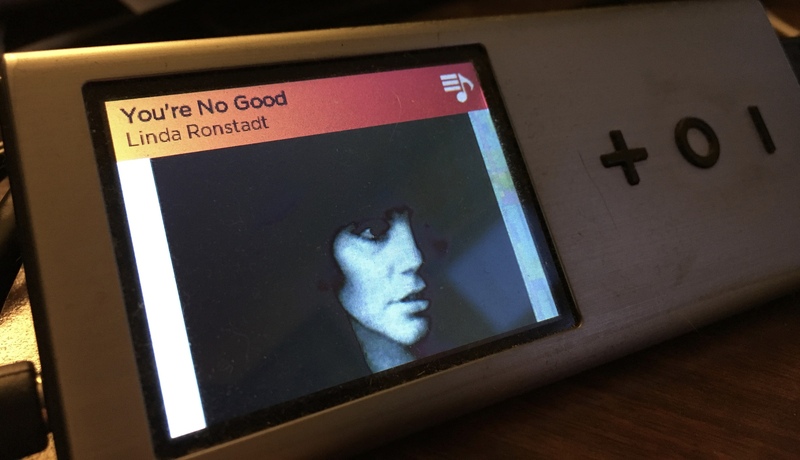 “You have an awful lot of Linda Ronstadt on here,” Diane said to me, about my Pono Player, while we were driving the other day. It’s true. I’m a fan, and have been since buying Mad Love in 1980, when I was 14. That album doesn’t get much respect, these days, and didn’t at the time, either – at least, not in Rolling Stone and the rock press. But I liked it then and like it now, especially the one-two punch of “I Can’t Let Go” and “Hurt So Bad” that closes Side One, plus “How Do I Make You.” That LP led me, at year’s end, to get her Greatest Hits Volume Two collection – I chose it over Volume One simply because it was new; and, too, I loved the cover picture of her. Looks alone didn’t lead me to continue to shell out $5 to $7 per LP, however, which is what I did over the next few years while exploring, and enjoying, her back catalog. That voice was reason enough. 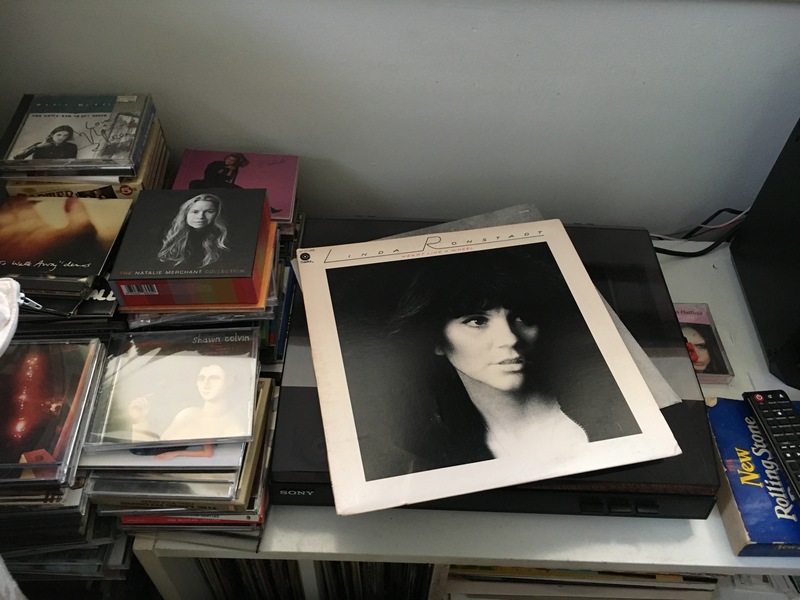 Anyway, at present, I have 11 albums by the raven-haired songstress on my player – second only to Neil Young. 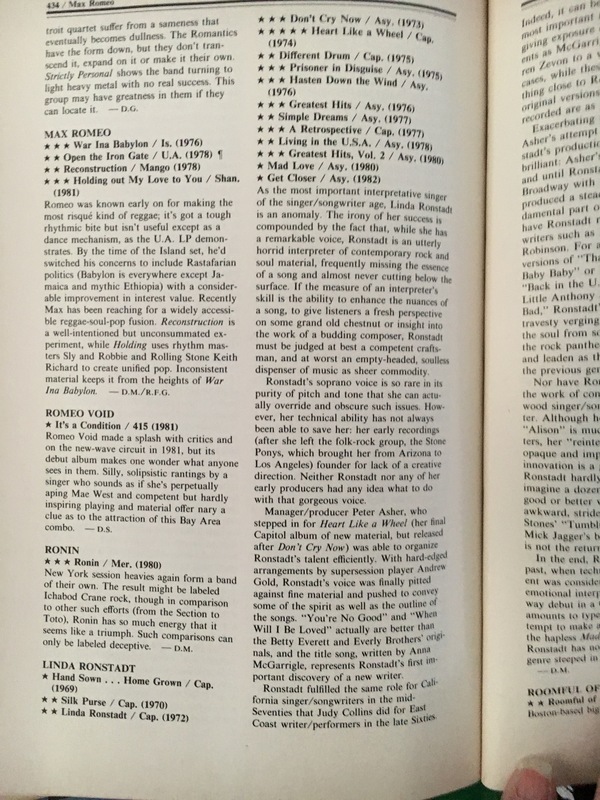 Some are high-resolutions, others not, and they include many of her classic ‘70s albums, including Heart Like a Wheel, as well as Mad Love, What’s New, a fairly comprehensive best-of and, now, Sausalito ’73, a set that was broadcast live from the Record Plant in Sausalito, CA, on KSAN-FM. I’m fairly certain Sausalito is a gray-market release. I.e., not official and only available due to loopholes in the copyright laws. I bought it from Amazon for $12.99 – not a bad price, all things considered. In years past, when similar unofficial live recordings were considered out-and-out bootlegs, it would have set me back $25-30; and, honestly, I would’ve passed on it at that price. For starters, the sound quality is far from pristine – I’d wager it was mastered from a listener’s home recording. There’s also a fair number of between-song lulls, with Linda and band deciding what next to play. At one point, she learns that “all this senseless mumbling and rehearsing” (her words) is going out live – and not the commercials she’d assumed was filling the break. The big plus: It’s a time capsule that captures her just prior to her commercial breakthrough. As evidenced by the set, her sound was evolving from amiable country-rock into something a tad starker and more powerful. 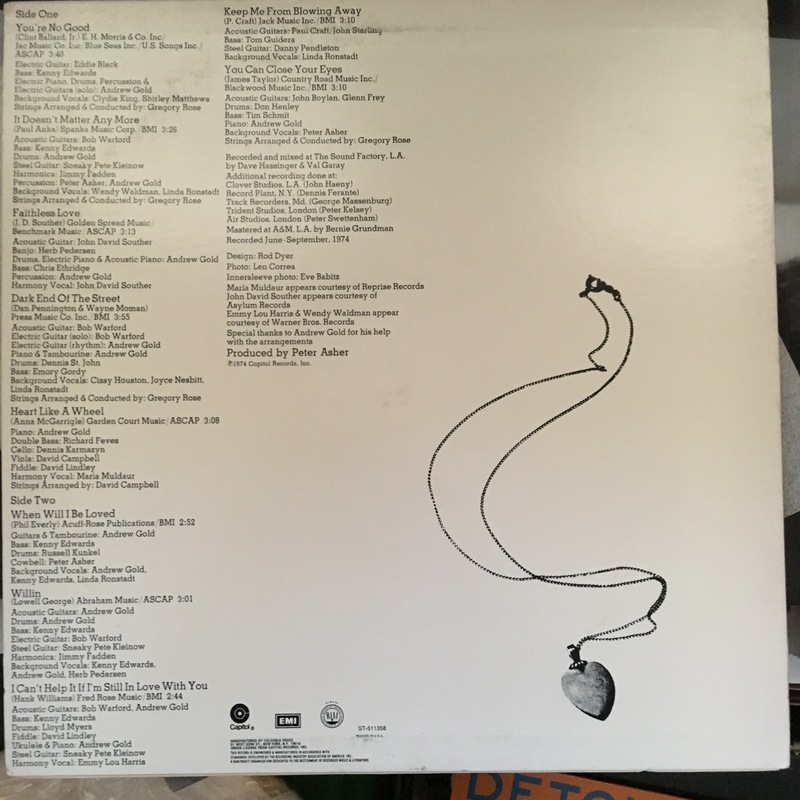 The new sonic style would flower in full on the following year’s Heart Like a Wheel, of course, and four songs from that LP are featured here, including “You’re No Good” and a smoky “Dark End of the Street.” Her cover of Jackson Browne’s “Rock Me on the Water” (from her 1972 eponymous album) is, as on vinyl, wondrous. 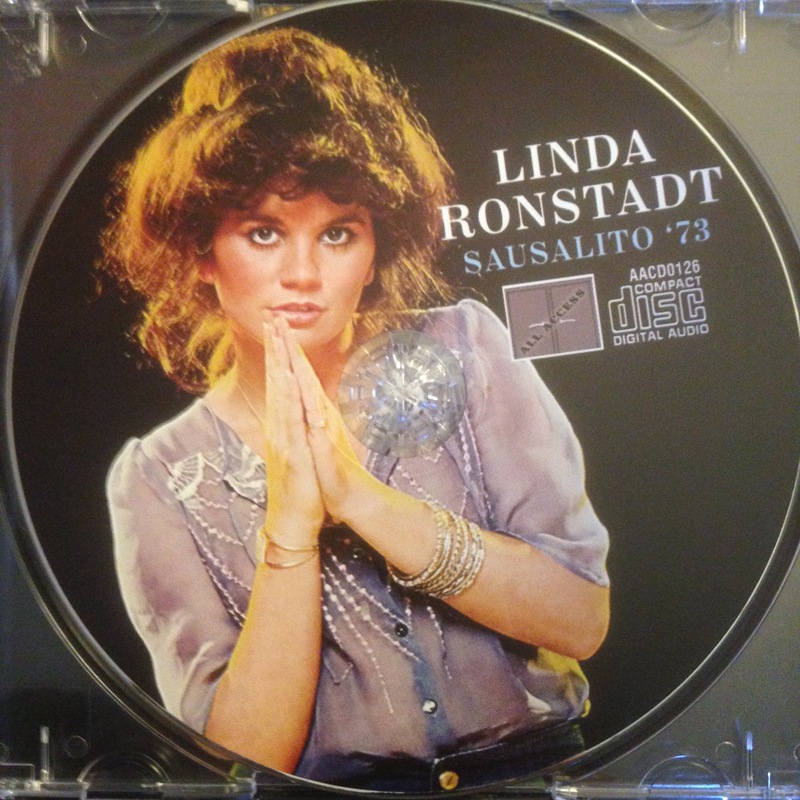 So, for today’s Top 5: Linda Ronstadt. These aren’t necessarily her best songs or performances, but five YouTube clips that I enjoy. 1) “I Never Will Marry” – with Johnny Cash from his TV show, 1969. 2) “When Will I Be Loved” – from a 1975 appearance on The Midnight Special. 3) “Willin’” – 1976 London. 4) “Someone to Lay Down Beside Me” – 1977 in Atlanta. 5) “How Do I Make You – 1980. And… as a bonus, Jackson Browne’s “For a Dancer” – with Emmylou Harris, from their 1999 Western Wall collaboration.